«firm» - the actual owner, the user program TCU 3, natural or legal person. 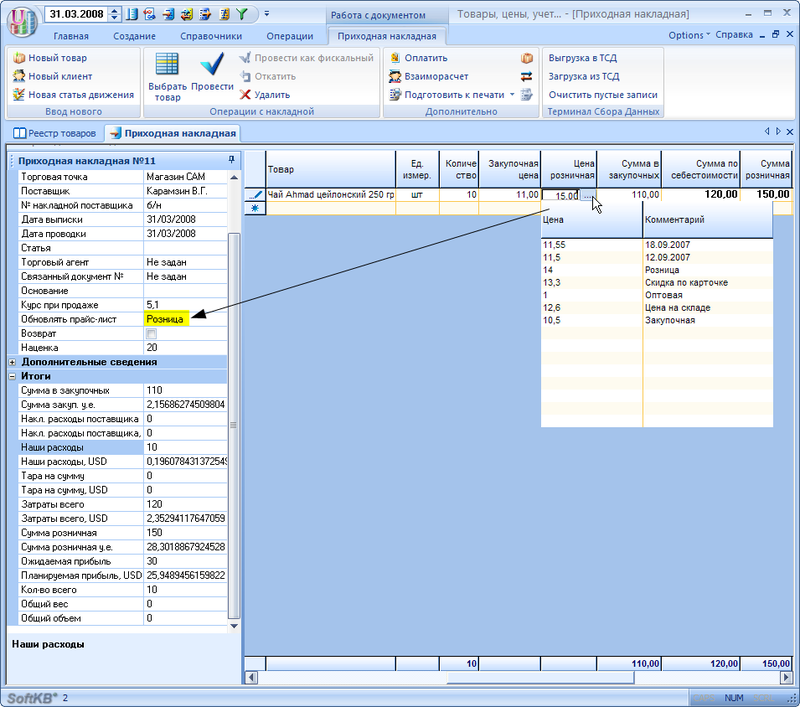 price of goods from the supplier - it is monetary value, which will have to «give to Mount» supplier for the goods (just pay or in installments -- in this case the roles are not plays). price of goods in a warehouse the company (it is the cost of goods) - it is monetary value, consisting of «the price of the goods from the supplier» and «transport costs» (of the cost of fuel for car-carrier to the payment of customs duties). 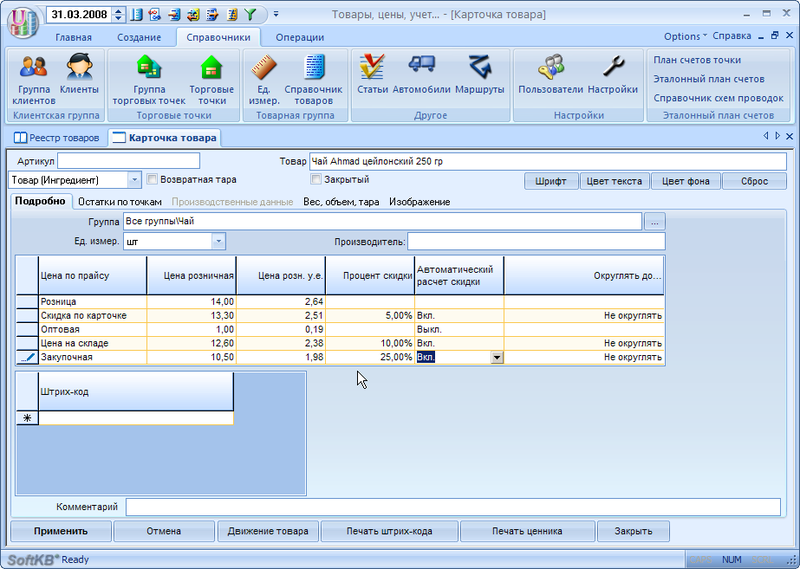 retail price - the value to pay the price the buyer, standing in the official прайсе firm as follows from the meaning of the name - The price without any discounts. price - means a discount on the card (-3% or -20% - As lucky). 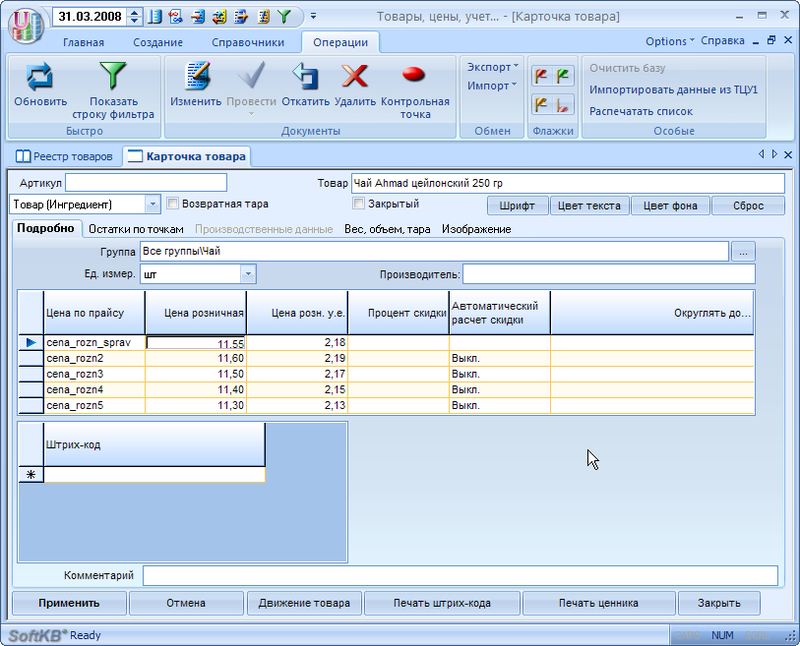 wholesale price - the price of the goods to the buyer when purchasing large shipment of goods as «prize» buyer. To all of you can add that the number of «price» or «Wholesale Price» is limited only by imagination user companies (and the number of fields for recording the program). And now - in order. 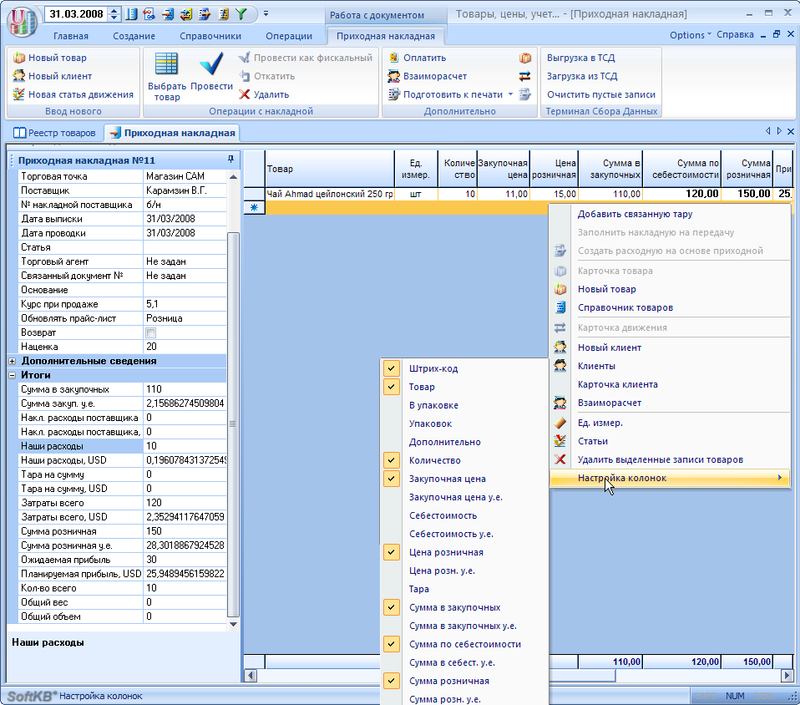 Clarification: If the program window, double-klatsnut the left mouse button on the line with the product, it will not «Card goods», and «Card movement of goods». It can not change the price - only view. return to the «Card goods». On the «Details» in cart Product show five rows, which indicate the price. 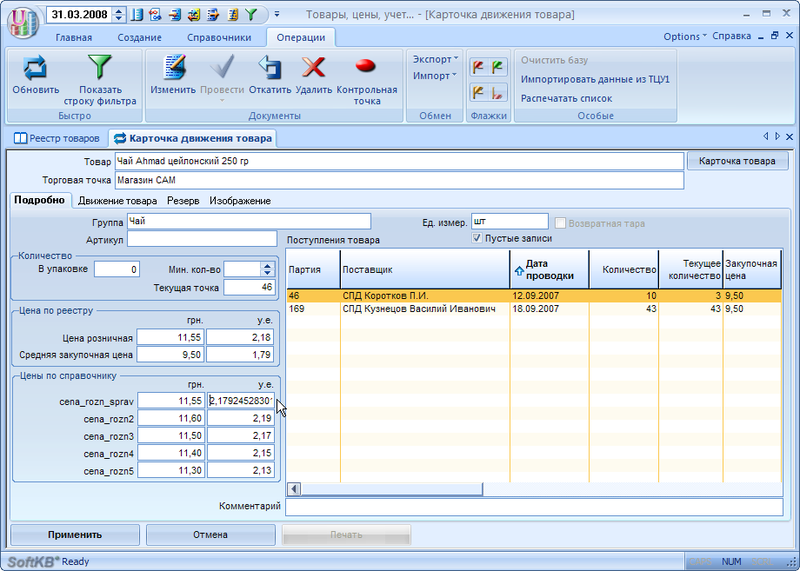 Lines showing the price - five, a man and not a limitation to what the user does not oblige the company. 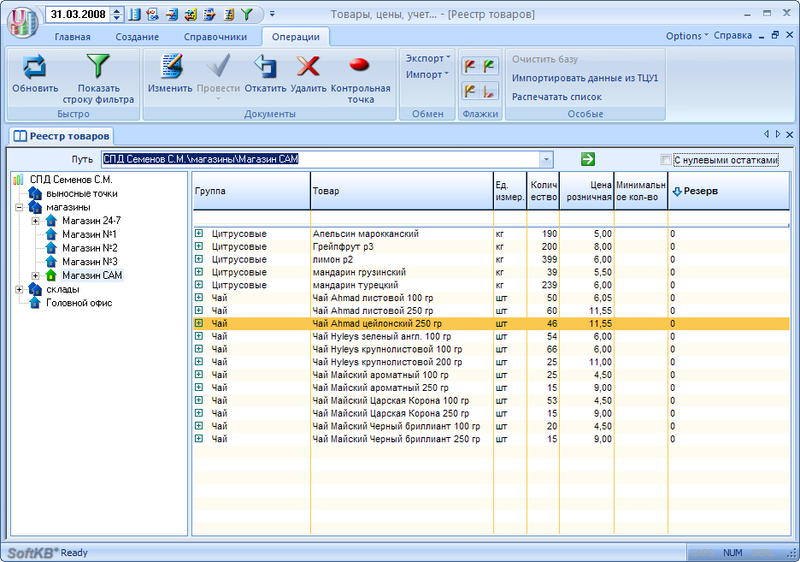 The higher number of lines - and it will be difficult to place (in the form of columns) on a standard sheet of A4 in some reports. Fewer - and someone is not enough functionality. Details of the interactions of strings. 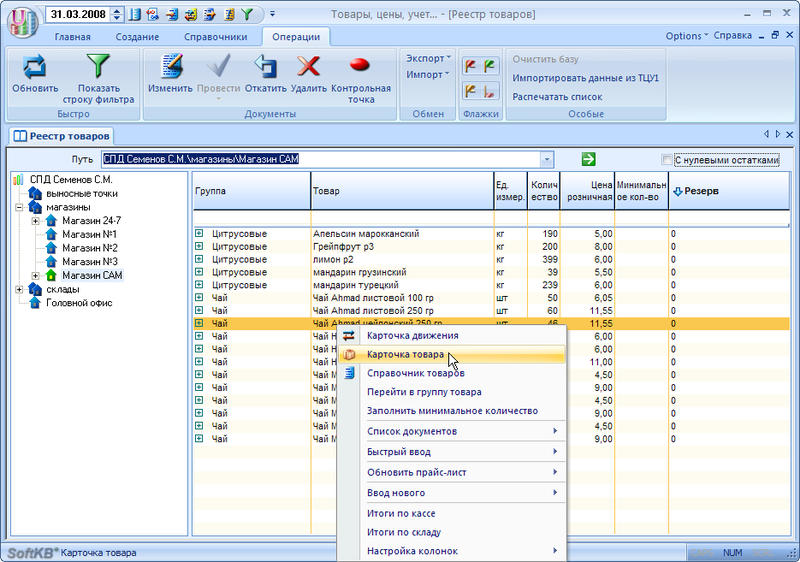 to include the position of «automatic calculation of discounts» and the percentage of discount. Value discounts should be placed in the fractional values: 1% -> 0.01 ... 25% -> 0.25. As can be seen from the figure above, the installation of the automatic conversion price is not necessarily choose all lines, and can be selectively (for example: the price «wholesale» - no changes). Instances of such equipment - at your discretion (and risk - there is a danger of the sale at a price below the purchase, with an increase in prices and lack of indexation in program). How to make the price change in an arbitrary line (ie, not only in the 1-s) caused the change / recount the remaining prices? Thus, the price is less than one percent up-to-date - has decreased, while those whose per cent more - increased. 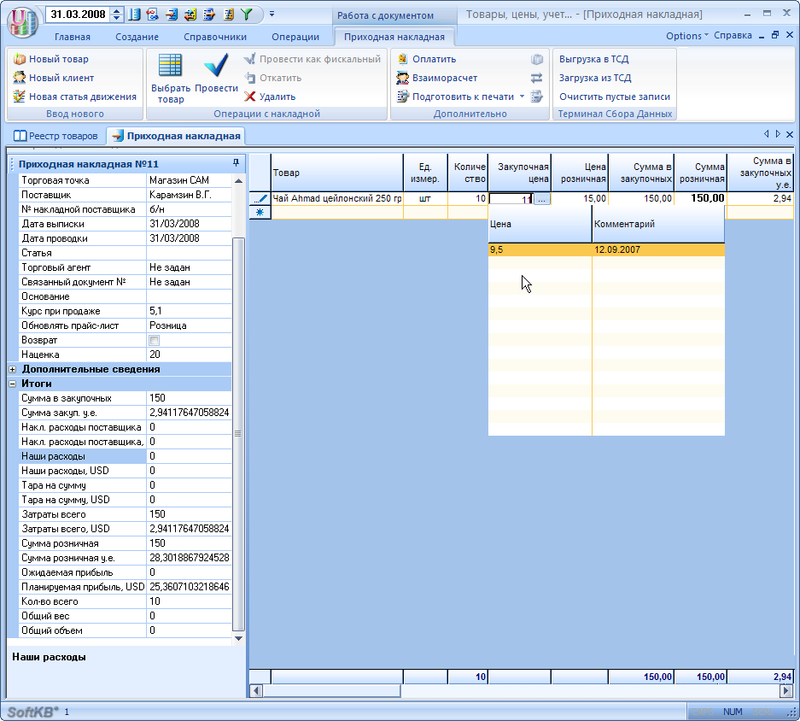 It should be noted - has increased the absolute value of the price «99,00», discount has not changed - what was required to achieve. 1. To create a pricing policy for a particular product is one set percentage discount for the price group further recount will be conducted automatically. 2.1. The reason that is not done to set the percent conversion price immediately on the product or for all products globally, is that for different products and different vendors - has its own pricing policy. At one item 2% discount - already a lot, but on the other - and not 25% too. 2.2. If you want to set the overall percentage discount for the client to the list of goods sufficient to establish his personal discount card for him. Then to sell at a price «Retail». 4. Monitoring the maximum discount on the seller - is enough to establish a maximum percentage discount for a particular seller, that he could not sell the customer the goods at a price less than allows you to set interest rates.